← Witchcraft Wiccan Religion – What is the Wiccan Religion, How do You Practice, What Are Beliefs? Welcome to the first in the series of A Core Practice. This book keeps it simple whilst capturing the true feel for magick and the craft. Witchcraft is a practice often mis-understood by people who lack knowledge in the wonders that witchcraft presents. Magick: A Core Practice is a journey that leads the seeker back to their personal core of power: The center of transformation, the place magick begins. Through this journey the seeker is once again brought back to their original creative state: The divine center within them, the level of being that existed in the beginning of their souls journey. During this exploration the seeker will discover proven techniques which will enable them to master the practice of magick, spell casting, psychic development and mastery, and personal transformation; finally placing the power of their destiny back within their hands. Magick: A Core Practice is a celebration of the magick of humanity, and mastery of the spiritual elements of all creation. 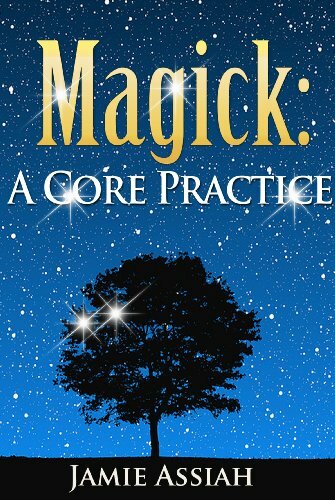 Magick: A Core Practice offers a simplistic insight into what can often be a complex practice. This part of your journey will see you exposed to the wonder that is Magick delivered from your core. The insight into magick and spells is very often over analyzed and way too complex. There is often a feeling of seriousness and complete focus whilst learning new practices in the craft. I personally feel there has to be some fun had with it also. Witchcraft and Wicca runs as a theme throughout this book.